I’ve been trying to write some more local route guides, but there’s a problem. And I’m not talking about my natural laziness, utter inability to take a decent photo, or microscopic attention span. I mean with the actual routes themselves. The sticking point is this – as a “responsible”, identifiable face of mountain biking, should we promote riding where it’s not explicitly permitted? Now if you’ve never explored further than the UK’s handful of purpose-built mountain bike trails, you’ll probably think “what’s the problem? There’s plenty of good places to ride your bike!” No. No, there aren’t. By way of example, I give you Rutland Water. Every weekend, hundreds of people drive to this place to ride their mountain bikes on a flat gravel track around a windswept reservoir. The on-site bike shop has quickly become one of the most successful in the UK. It’s not “mountain biking”, or “the countryside” (unless you count an artificial landscape created by drowning a village) but lots of people seem to think it is. Of course, this is one of the flatter parts of our country, but it’s not an exception. And the number of people across the UK who live within riding distance of even a pseudo-mountain biking destination like Rutland Water must be tiny. Take your bike to the local park, and chances are you’ll be greeted by a load of NO CYCLING signs. Chances are your local wood is the same. In my local woods they’ve even gone to the trouble of enacting a bylaw, making anyone who cycles through the woods, no matter how carefully or responsibly, liable to criminal prosecution. Despite bicycles having been ridden off-road almost since the day they were invented, we are seen as the intruders in a natural setting. The actual evidence for doing this is scanty at best. 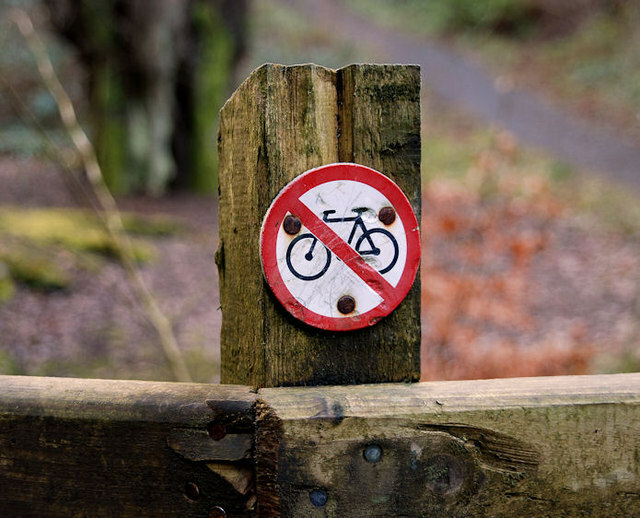 Instead, we’re restricted because of assumptions about the amount of damage that mountain bikers cause, on reports of user conflict (which often fall into the category of hearsay and opinions) and on the principle of “better safe than sorry”. In Bristol, we’re extremely lucky to have Ashton Court and Leigh Woods, but in parks and woodlands nationally, the opportunities for sanctioned cycling are few and far between. The former cycle speedway track at one park near me was actually re-branded as a “dog walking circle” by the local “friends of” group. But no problem, you can just explore the countryside from your door. Just don’t expect to stay legal. 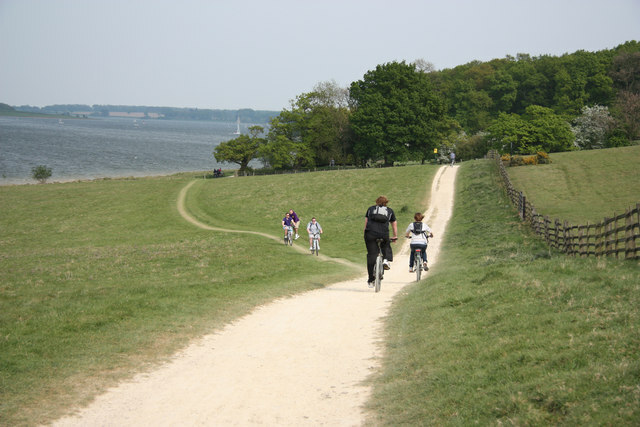 Of England’s far-from-comprehensive rights of way network, just 20% of it is open to cyclists. And of the parts you can legitimately ride, there’s even less of it that you would want to. There’s the boring stuff, the paths that have been reclaimed by nature and are blocked by fallen trees and brambles, the tracks that’ve been utterly trashed by horse or motor use on a soft surface, and the bits that are so isolated and disconnected they simply aren’t worth riding to. Of course, you know all this already, and chances are you’ll carry on merrily riding where you like (while exercising the appropriate sensitivity). But what about people who want to ride off road, but don’t know where they can do it? Who don’t have the spare time (or cash) to drive for four hours to ride a two-hour trail centre loop? It’s not just the effect on our strange little niche sport that I’m talking about. We’re facing a serious situation in England because people don’t do enough exercise. By some estimates this costs the NHS (i.e. you and me) £1.5 billion every year. Now you can tell people to be sensible, eat veg, and go to the gym, but nannying only goes so far. You have to make physical exercise fun and attractive to people, otherwise it goes the way of other activities that promise a reward at an unspecified future date. 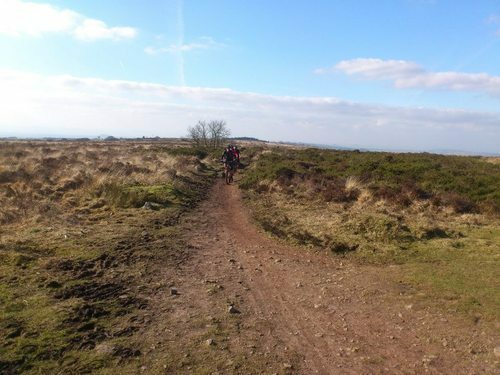 Off-road cycling has a role to play in this, with some estimates suggesting that one fifth of the population own a mountain bike (but only 1-2% of people ride them regularly). In Scotland they’ve recognised this, and taken steps to open access to mountain bikers, walkers and horse riders. Thus far, this has not brought about catastrophe. There are signs that Wales may be considering the same. But this is England, where property ownership is paramount, and where riding a bike through a field is viewed in the same light as vandalising someone’s garden. Our countryside is an amazing resource, and with the right promotion and legislation many more people could be enjoying it. Instead, unless you’re one of the people who uses it in a “traditional” way, we’ve chosen to restrict access to it and neglect it. In the future, chances are we’ll be faced with a massive bill for prolonging the lives of our sedentary population. And we’ll have a massive collective facepalm.